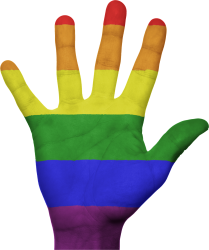 At Garner & Hancock we have acted for well known gay and lesbian personalities and provide expertise to lesbian, gay, bisexual and transgender (LGBT) people and couples. We are included on the Stonewall panel. See our equality and diversity policy. The issues arising from the LGBT community is not uncommon to people of all parts of society. However, we at Garner & Hancock understand the particular needs and provide the necessary expertise to this community. We can advise on issues concerning, cohabitation, and legal problems arising when buying property together. or Buying out the other’s interest in a property. Some couples consider cohabitation and Separation Agreements to help regulate their living arrangements. Even consider a pre-Nuptial Agreement to protect their assets. There are numerous issues when a relationship ends including children issues and even how both parties approach shared Parenting. We can advise on all these issues. One of the main worries is how to manage the financial claims that each party is making. We are expertise in trying to achieve full and final settlement agreement between the parties. This can be done by arbitration or mediation. LPA and Powers of Attorney. Speak to one of our team today in complete confidence to discuss any issues you have or for legal advice in any of these areas.